Here we are at Wagner's final music drama. What's your DVD choice for this otherworldly work? 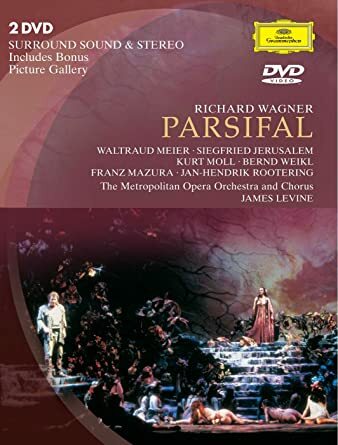 No real favourite on DVD, wish Solti's recording was recorded for DVD. New MET production is visually bold modern staging with attention paid to deeper running themes of the work, the dynamic changing sky is cool, "there will be blood" at Klingsor's castle/garden setting but does the later barren desert/wasteland landscape serve its purpose as visual reference for good friday or grail scence? I second the choice above, for pretty much the same reasons. Love the singing of those three men. Last edited by amfortas; Feb-20-2018 at 18:43. Bayreuth 2012 and 2016 and Covent Garden 2013. Visually provocative but fascinating nonetheless. 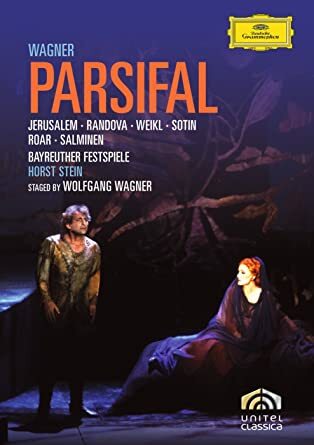 I *really* wish the video of Stefan Herheim's acclaimed 2008 Bayreuth production was released on DVD. Talk about provocative but fascinating! Last edited by Bonetan; Feb-20-2018 at 20:09. My pick would probably be the Herheim from Bayreuth if that were available. Barring that I'm torn between Girard/Gatti at the Met and Tcherniakov/Barenboim from Berlin. I might lean towards the former, but perhaps that is because I saw it in the house. I'm real interests to see what I think of the layer after I see it. Last edited by Itullian; Feb-25-2018 at 02:56. Were they not still doing this production in 2012 because I'm pretty sure that is available on DVD? Herheim was still the director until then then they had a three year hiatus until the new production in 2016. Last edited by Barbebleu; Feb-25-2018 at 12:50. They made a video of the production; it was up on YouTube for a while. And they announced the DVD was forthcoming. Then contractual difficulties scuttled all that; now we may never see a release. Last edited by amfortas; Feb-26-2018 at 00:14. Ah, that's what I was remembering. I think a friend has a rip of that. I must get in touch with him! The 2016 Barenboim is on my wish-list though for sure. wie anders als mit Isoldes eignem Leben wär' Tristan der Tod gegeben? 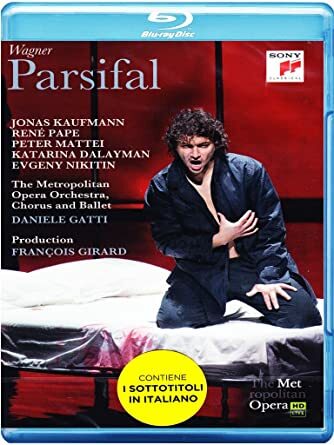 I'd like to write a dense review of two 2013 filmed Parsifals I watched: Thielemann Salzburg and Pappano Covent Garden. None of them are traditional but I'd like all of you to discuss the concepts they bring out and how tolerant could you be with them. 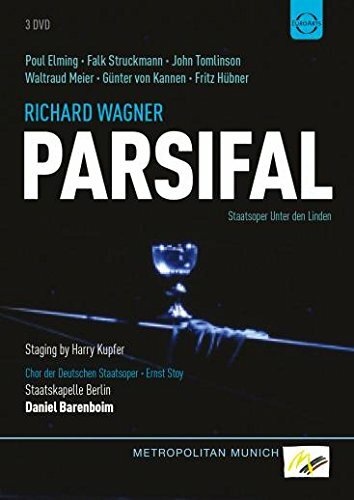 Musically, I just dare to say that Warner Classics finally owns a top quality stereo Parsifal in their catalogue. It never felt slow, and I didn't recognise the dull Troyens orchestra in this performance. It's like they weren't the same. All times are GMT +1. The current date and time is Apr-24-2019 22:58.